It’s time for dinner and Spot is nowhere to be found. Where could he be? Follow Sally, the dog, as she searches all over the house for Spot. Could he be behind the door? Or inside the grandfather clock? Or in the piano? 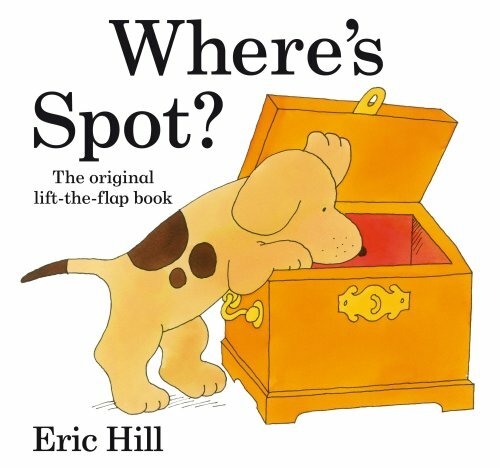 Where’s Spot is a much loved classic and a staple book in any speech pathologist’s therapy toolkit. Young children love lifting the flaps to find out where Spot might be hiding. Through this interactive experience, children will learn a range of prepositions such as in, inside, under, and behind. The simple, repetitive text is perfect for encouraging speech and language development in little ones. Where’s Spot is ideal for targeting some early developing speech sounds, such as /b/, /n/ and /t/. For further speech and language targets in Where’s Spot, see the list below.